Realme just officially entered the Philippine market. And with them, the Realme C1, which will go on a Flash Sale at Lazada on December 5, 2018. The Realme C1, dubbed as the #RealEntryLevelKing, sports an Octa-Core Snapdragon 450, 6.2-inch Full Notch Display, Corning Gorilla Glass 3, and a 4230 mAh battery, all on an entry level phone. 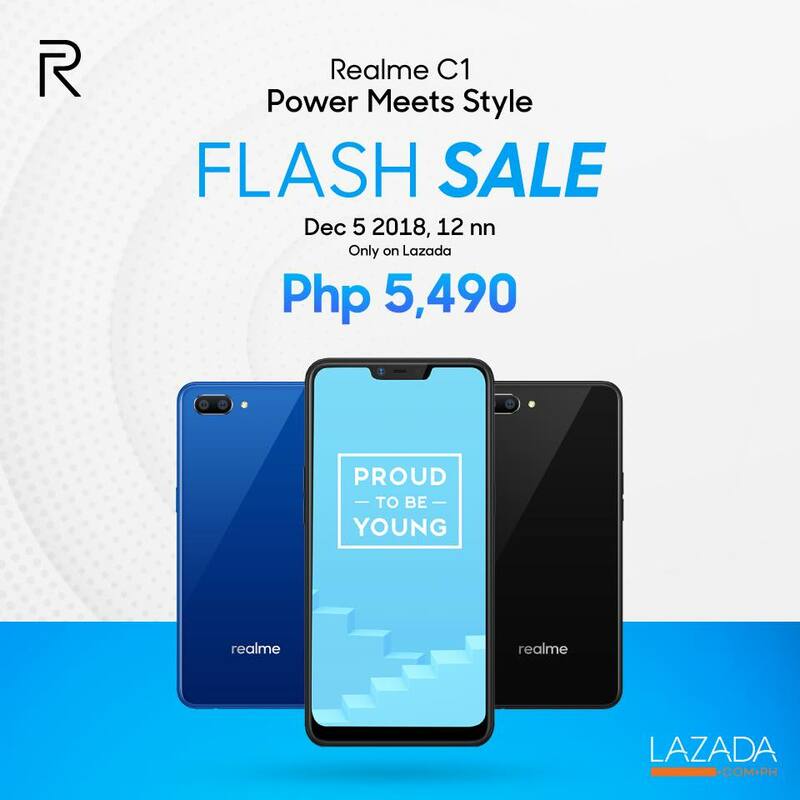 The C1 is priced at Php 5,990, but you can catch at a more affordable price of Php 5,490 on a Flash Sale at Lazada on December 5, 2018 at 12 noon. You may start adding the Realme C1 to your carts by visiting Realme’s official Lazada shop here. For more information about Realme Philippines and its products, you may follow them on Facebook, Instagram, and Twitter.